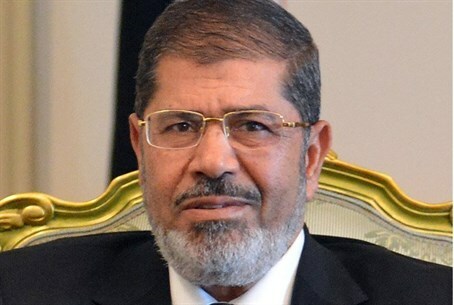 Panel of judges in the trial of the deposed president ended the session after Morsi refused the white uniform. Morsi refused to take off his suit and wear the white uniform that was worn by ex-president Hosni Mubarak during his own trial, as required by Egyptian law, refusing to accept the court's authority and insisting that he was still the rightful president. He reportedly shouted at judge -- "I am the legal and legitimate president of Egypt!" -- and called for the removal of the military regime. Protests took place Monday outside the court and elsewhere in Cairo. Morsi was ousted by the military in July after millions poured into the streets to protest against his rule. Early on Monday he was airlifted into the Police Academy compound by helicopter, the BBC reported. Other leaders of the Brotherhood, including Essam el-Erian, Mohammed al-Beltagi and Ahmed Abdel Aatie, were said to have been brought in by armored personnel carriers.